Countries in Europe and Central Asia still have a long way to go to achieve a zero hunger status and the major roadblock in their path to success are poverty and climate change, said José Graziano da Silva, Director-General of Food and Agriculture Organization (FAO) of the United Nations, on Monday at the opening of a regional conference for Europe and Central Asia at Voronezh in Russia. The recent FAO figures show that 14 million people in Europe and Central Asia, mostly in rural areas, are still facing food insecurity and the worst affected are Tajikistan where 30 per cent of the population is undernourished, Moldova (8.5 per cent), Georgia (7 per cent), Kyrgyzstan (6.4 per cent) and Uzbekistan (6.3 per cent). He pointed that the world saw an increase in hunger in 2016 after more than 10 years of decline and preliminary data indicates that prevalence of undernourishment also increased in 2017. 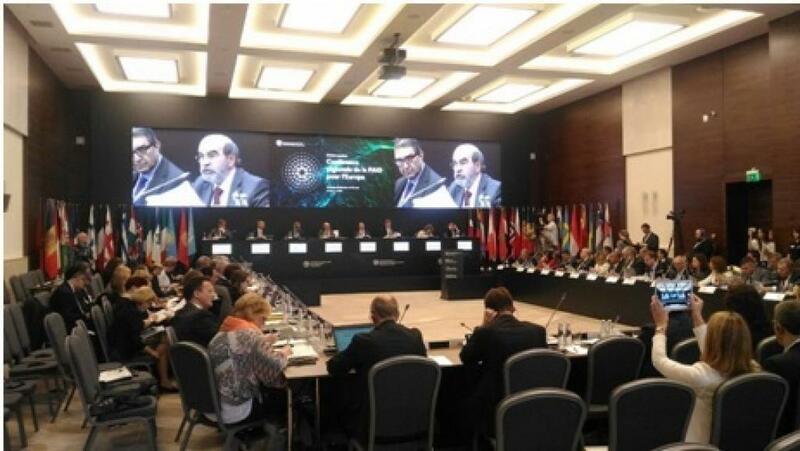 “Persistent malnutrition and rural poverty in Europe and Central Asia call for still greater efforts if we are to achieve Zero Hunger by 2030,” the FAO Director-General told ministers and other top officials from 42 countries attending the conference. He suggested supporting smallholders and family farmers to reduce poverty and managing natural resources in a sustainable way to tackle the problem of climate change. When it comes to achieving the Sustainable Development Goal (SDG) 2, Silva realises that it would mean going beyond eradicating hunger and also including all forms of malnutrition, including micronutrient deficiencies and overnutrition to the list since obesity has turned into a global epidemic. “Countries need to tackle this situation by stimulating healthy diets. National public policies are fundamental, nutrition is a public issue, a state responsibility,” he said. Another issue that needs the region’s attention is climate change and the FAO top official suggested a need to promote the adaptation of food systems, especially in relation to poor rural communities. And for that, the most important mechanism now available to finance developing countries' response to climate change is Green Climate Fund.